Our company has the sprinkler supplies necessary to ensure a well-operating system, from valves to controllers. We rely on the best manufacturers to bring you attention to detail at the highest levels of quality. 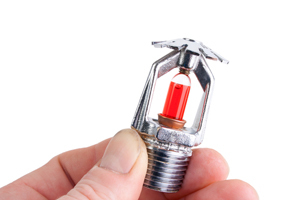 It’s important to choose a trustworthy contractor to install your sprinkler system. We have confidence you will choose us. Our team shows up with the correct supplies to get the job done right. In fact, our trucks are always stocked with anticipated equipment and supplies, whether for residential, commercial or golf clients. As your leading source for the latest in state-of-the-art tools and safety equipment, we put a high emphasis on quality products. In fact, all our irrigation products feature a full warranty designed to protect your investment. Choose Commercial Irrigation & Turf to provide the sprinkler supply Springfield IL demands for quality. For quality in initial installation through to completion, we give you superior sprinkler systems attached with full warranties here at Commercial Irrigation and Turf. Get peace of mind knowing each member of our staff receives hands-on training in installation and construction of sprinkler systems. In business for three decades, Commercial Irrigation & Turf has become a local leader in commercial and residential systems throughout Central Illinois. Our large service area spans Springfield, as well as Urbana, Bloomington and surrounding areas. 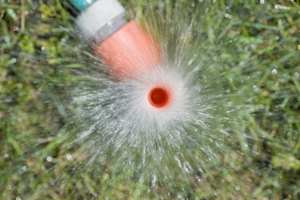 To inquire about our sprinkler supplies in Springfield IL, please contact Commercial Turf & Irrigation. We can give you an estimate and consultation when you call us at 217-398-1494 or complete our online form. If you have any questions about the manufacturers we use or about our warranties, please don’t hesitate to call. In conclusion, our helpful staff members are ready to assist you.